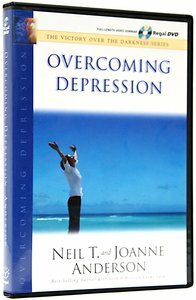 Experts agree---depression is becoming an epidemic in our society, and Christians aren't immune. How can you help those suffering in body, mind, and spirit? In this 8-session presentation, Neil and Joanne Anderson offer biblically based counsel to lead viewers beyond feelings of hopelessness and into the healing embrace of Christ. Includes reproducible guide and downloadable discussion questions.